The Midvale Cottage Post: Miss Lillian's Postcards - Vintage Tweets from the 1900s: Miss Lillian Has a Job! Miss Lillian's Postcards - Vintage Tweets from the 1900s: Miss Lillian Has a Job! much for [the] pretty card. 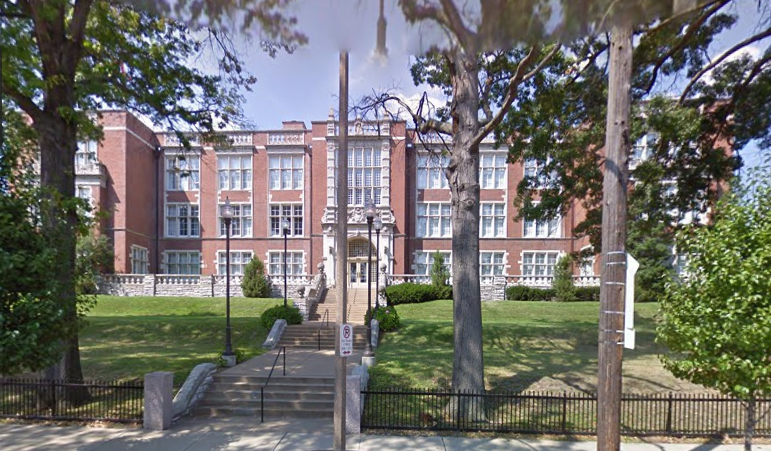 Looking very brand new, the Teacher's College began offering in-service education for St. Louis white teachers as early as 1906. 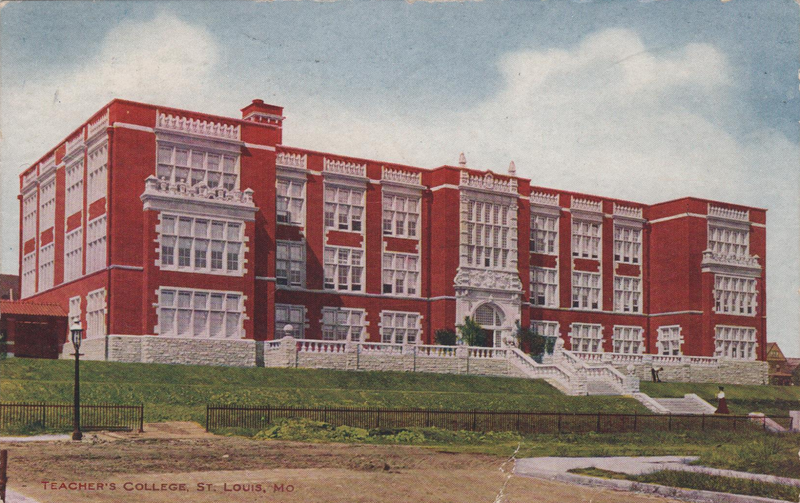 The Teacher's College building is still standing and in use (but no longer a school) in St Louis, and is listed on the National Historic Register. 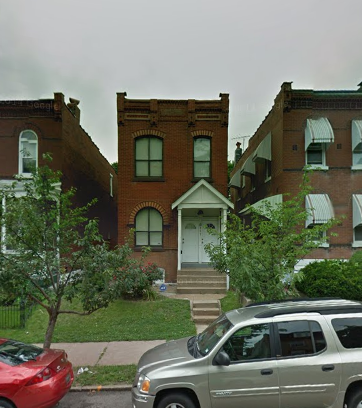 Here are two images of the building I snagged from Google Maps (which is located at 1517 S Theresa Ave in St Louis). Equally interesting is that the post card is addressed to Miss Lillian not at home but at a work address! Now, Lillian was born in 1882, so she is about 24 (almost 25) at this time. Since she has not married, it is interesting that she is working at Luyties Homeopathic Pharmacy, at the intersection of Laclede and Vanderventer Avenues (just across from St Louis University today). Perhaps she was a clerk? 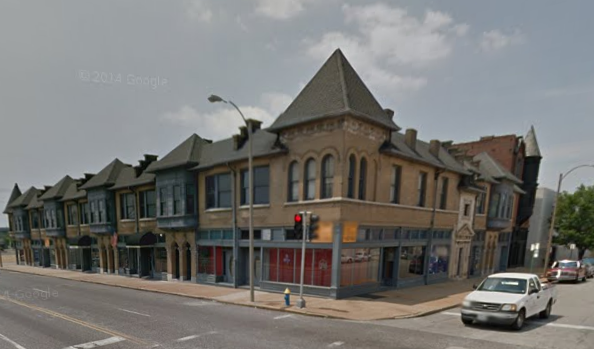 Below is the building at intersection of Laclede and Vanderventer Avenues (aside from a public storage building and St Louis University grounds), and it was built in 1896! Called the Gerhart Block, it is also on the National Register of Historic Places. So this is most likely a place that Miss Lillian either worked in, or (if the building she worked in has since been demolished) she saw every work day at this point in her life. 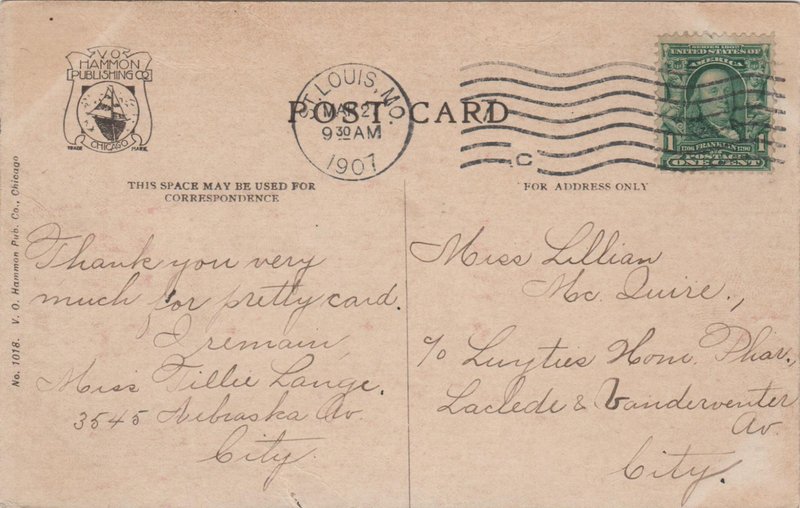 And with this postcard, we meet Miss Tillie Lange, who sounds quite formal in her thank you. She must be a relatively new acquaintance, because she misspells Miss Lillian's last name. Since she provided her address, I looked it up too on Google Maps, and found this charming home. It was built in 1897!